Sovereign Pest Control offers specialty services for mosquitoes, stink bug and box elder bugs, bee nest removal, flies, pantry pests, and more. 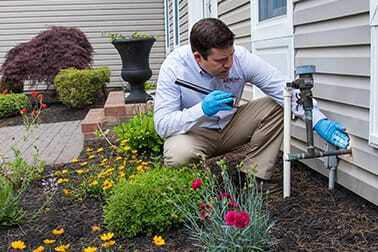 Don’t let your backyard get bogged down by bugs. 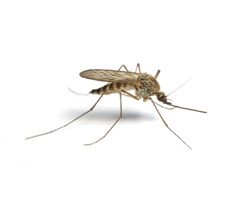 The best way to control and treat mosquitoes around your property is by removing their breeding areas and spraying your yard, trees, bushes, and shrubs with applications that will remove mosquitoes from the area. Our mosquito specialists at Sovereign Pest Control are experienced, professional, and eager to help! Planning an outdoor gathering with friends, family and neighbors? 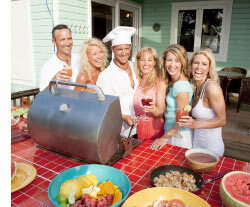 Don’t let flies and mosquitos ruin your party by swarming the food and guests. At Sovereign Pest Control, we understand how frustrating and irritating bugs can be during an outdoor party. Our Outdoor Party Service includes services and applications to prevent pesky insects from ruining your fun! 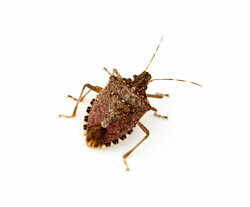 Have you noticed stinkbugs and box elder bugs in and around your home? A Sovereign Pest Control technician can rid your property of these pesky bugs. 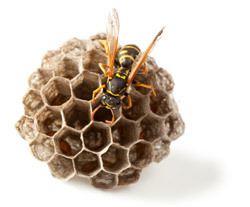 Have you noticed a problem with hornets, wasps, yellow jackets, or mud daubers? Nervous about upsetting the nest they’ve attached to your house? Sovereign Pest Control technicians can safely remove these nests. Give the fly swatter a break! 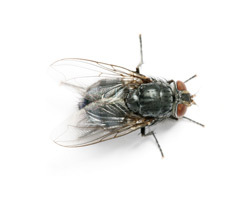 Sovereign Pest Control’s valuable fly prevention service will get those flies out of your house and keep them away! Tired of opening your pantry to notice holes in bags and missing food? While it might be the teenager in your home, you also may be experiencing pantry pests, such as Rice Weevils, Granary Weevils, Grain Moths, Grain Bores, Drugstore Beetles, Tobacco Beetle, or others. Sovereign Pest Control can treat for these pests. It’s time to stop cleaning up the mounds of dirt made by cicada killers. 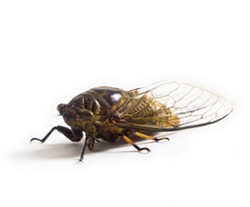 Don’t let cicada killers ruin the appearance of your yard. Sovereign Pest Control can treat your yard for these insects. 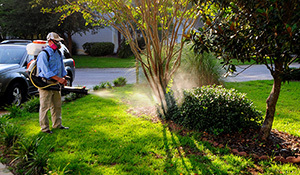 The Pest Control Yard Service is designed to help control the most common types of lawn surface insects. By targeting pests in the areas where they live and breed, our Pest Control Yard Service protects your family, pets and lawn against infestations. Rodents and other pests enter your home through holes and cracks in the foundation of your house and eliminating these entry points will greatly reduce the chance of an infestation.